Doctors and nurses are human. They make mistakes. In the modern hospital, medication administration is one of the most error-prone practices and mistakes occur multiple times a day. The patients most vulnerable to these errors are children, where medication errors are three times more common than in adult medicine. The rate of error is highest in high-stress clinical environments. Even though very few errors are detected or reported, an error is estimated to occur once in every ten drug administrations in emergency units. During resuscitations, the rate is even higher - up to one in four drug administrations are thought to be incorrect. Giving drugs safely to children requires doctors and nurses to make a series of difficult calculations to determine the correct weight- based doses, dilutions and rates of administration of medication. 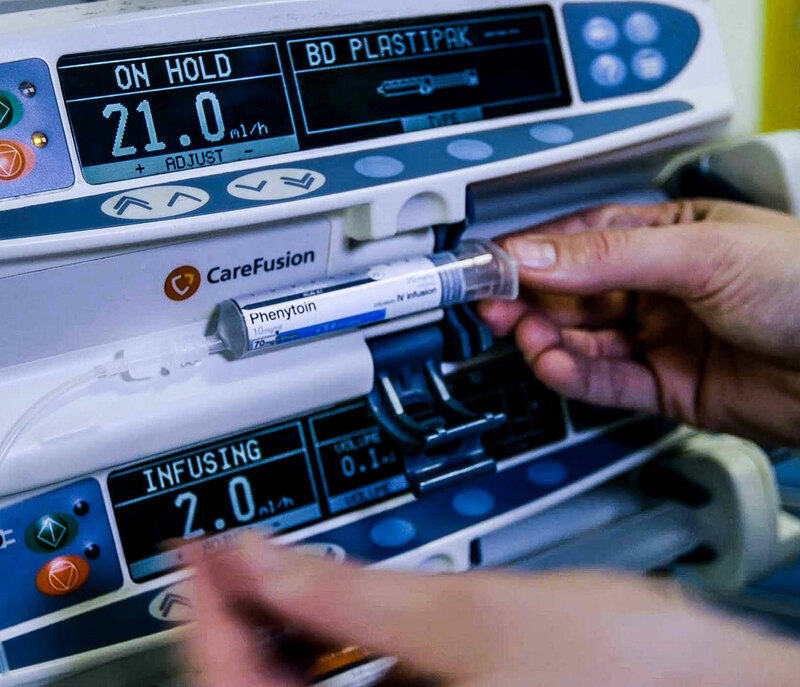 The pressure of the emergency environment when caring for critically ill patients, often in the middle of the night, combines to make complex arithmetic highly unreliable. Additionally, a large child weighs up to 30 times that of a newborn baby. This variation adds a significant potential for large miscalculation errors that does not exist in adult medicine. We believe that healthcare professionals on the ground should have the latest and most comprehensive medication information at their fingertips and powering their digital tools. Technical advancements in medicine have come leaps and bounds over the last three decades. Medication safety, however, has been long neglected and clinicians rely on arcane tools and methods when prescribing and giving drugs. Our team of clinicians, designers and engineers immersed themselves in the paediatric critical care environment at St Mary’s Hospital in order to understand the human and technical aspects of giving drugs to children. Our research resulted in the development of a computerised decision support system designed to help doctors and nurses prepare and administer drugs safely under duress. Once provided with the child’s weight, age and clinical information, the software determines the safe dosing parameters for any given drug and a suitable method of administration for that individual patient by referencing a pharmacological database. A personalised syringe label is printed, on- demand, that graphically illustrates the safe preparation and administration instructions for the medication. This is supported by on-screen instructions to guide clinicians through the process. To bring this closer to reality, we are working in partnership with the Royal Pharmaceutical Society and the British National Formulary on a ‘live database’ to ensure the system has the most up-to-date, UK-specific medication information at any time. Supported in-part by a research grant from the Resuscitation Council (UK), we were able to test a prototype of the system in a simulated setting in 2017. We showed that we were able to decrease the number of serious errors by 60% in novice users. 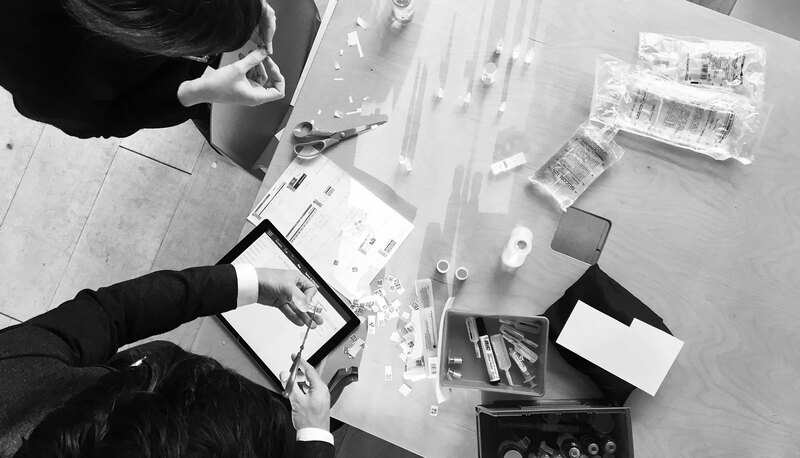 On the back of this successful proof-of-concept, we secured prestigious follow- on funding from the NIHR to bring our modern medication safety solution to reality, initially with our partners at Imperial College Healthcare NHS Trust, and then beyond. We’re seeking a talented Back End Developer to join our team of software engineers, doctors, nurses, product designers and researchers and help us build out a clinical decision support system for this project, which will be trialled at St Mary’s Hospital in 2019. The initial contract is full time for 1 year, with flexible working patterns and competitive compensation. Please send your CV to careers@helixcentre.com if this sounds like you!